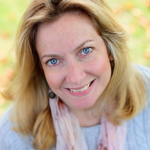 Heather Larkin, Ph.D., LCSW-R is a faculty member of the University at Albany (SUNY) School of Social Welfare and can be contacted at hlarkin@uamail.albany.edu. Heather has a strong clinical social work background and experience in organizational consultation, service systems research, and policy analysis. An Integral Social Work leader, she extends ACE research and facilitates implementation of the Restorative Integral Support (RIS) model to integrate social work research with local practice wisdom for comprehensive response to multi-problem consequences of adverse childhood experiences (ACE) across the lifespan. This includes consultation to the Center for Post-Trauma Wellness (CPTW), which provides resources, tools, and training for social service agencies implementing RIS. Lauren Keeley is a graduate of the SUNY Albany School of Social Welfare and works closely with Dr. Heather Larkin as webmaster for ACE Response. Lauren employs social work skills to support the development of healthy social networks through dance. She can be contacted at lkeeley@albany.edu. Schuyler Cunningham – schuylercunningham@gmail.com– Graduate of National Catholic School of Social Service, The Catholic University of America – now working as an oncology social worker at the National Institutes of Health.